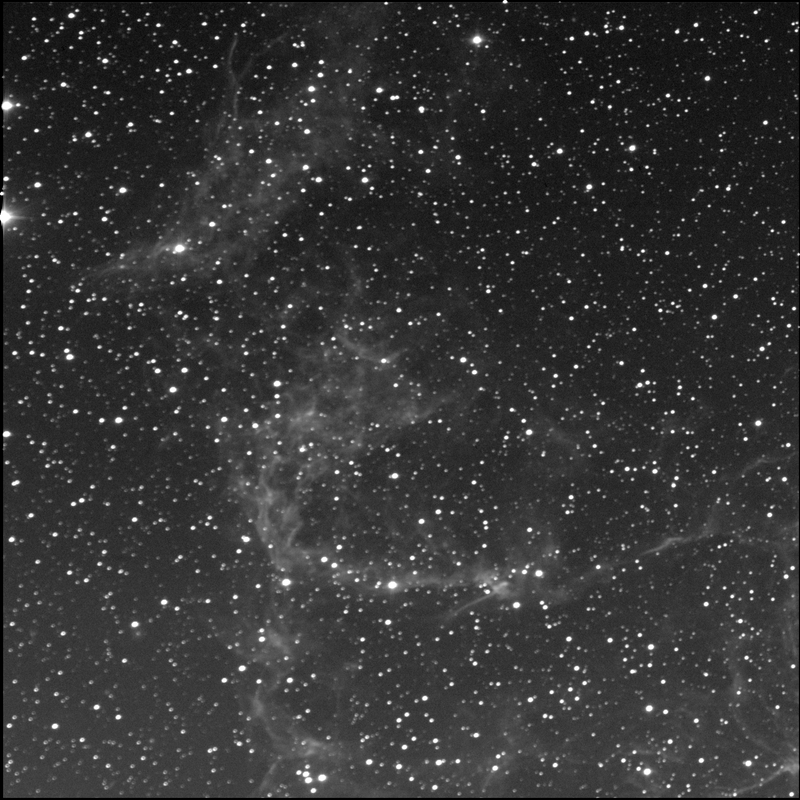 So to quickly test the Burke-Gaffney Observatory system, I threw out the target NGC 6995. That's the Veil Nebula, the East portion, near Cygnus. BGO chose a spot near the star TYC 02688-3005 1. It worked! Like the West Veil, I cannot capture the entire structure in a single frame, it is so large. Perhaps I'll do a multi-panel shot with it... But it would be more complicated as it is not thin nor oriented north-south. 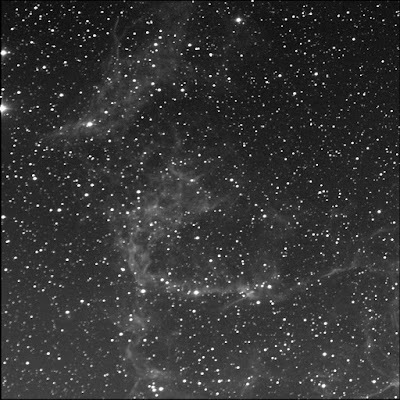 The entire East Veil is referred to as NGC 6992 and Caldwell 33.